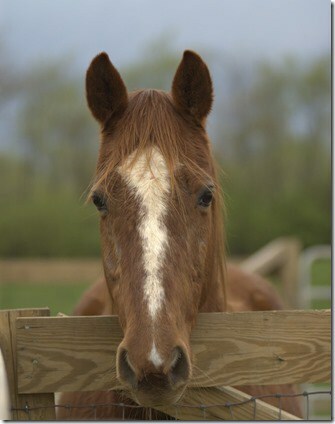 Yesterday, April 16th, 2013 we laid our Missouri Fox Trotter to rest. “Red” River was an awesome horse. Originally purchased to be a pasture pall for Cisco. He was gentle and smart and fun to ride, except for that one day he decided he didn’t want to be ridden. Like Cisco he ended up with eye issues, unlike Cisco they couldn’t be overcome. In the end they were painful enough that his quality of life was beginning to suffer so we had to make the decision to let him go. River, you will be missed.